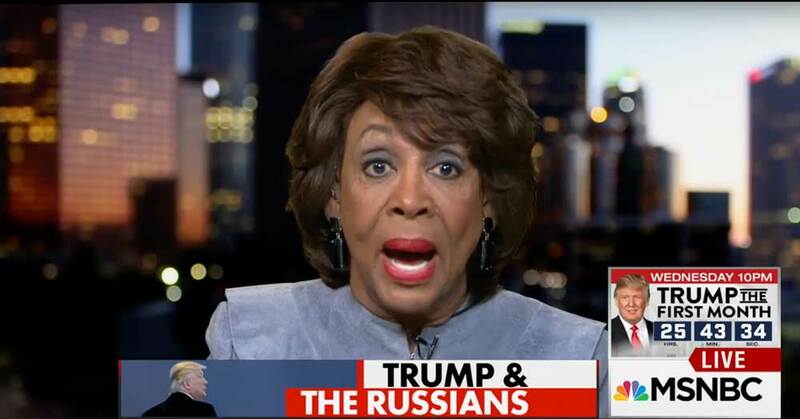 Well, well, well…looks like Maxine Waters has gone CRAY-CRAY once again…and on live TV too. The Democratic Party is getting hit after hit with their crazies…I mean, you remember Elizabeth Warren and her multiple breakdowns yes? They are gifting Republicans every time they show their true colors publicly. Waters though, she looked insane with her rambling and all disorientated on MSNBC. She was on for only 6 minutes, but that was enough to showcase her insanity. She was going on and on about Donald Trump and his entire administration and then ultimately calling each of them “scumbags” right there on national TV. She brought out a list of alleged ties between Trump’s inner circle and Russian people within the government…but that wasn’t all. It all became seriously strange as she became more and more unhinged. Even the moderator Chris Hayes was taken aback. LOL! This is a level of ‘stupid’ and screaming nonsense that is NOT going to serve the Democratic party well at ALL in 2018 when the time comes to run again…so let’s cheer them on!